Used for secure storage of items that require some degree of refrigeration, from frozen to chilled to ambient and heated, all with individual electronic monitoring and control. 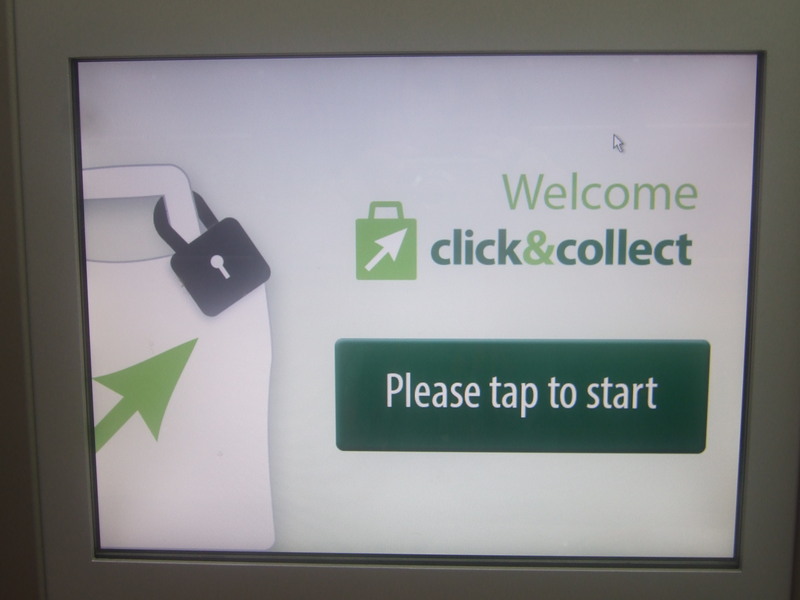 Typical uses include grocery supermarket click and collect systems and secure evidence lockers. Standard Small, Medium and Large format refrigerated lockers allows for total installation flexibility. Each electronic locker column is independently cooled and each door is software controlled for access and security. These insulated lockers are engineered for robust use in field installation, 3rd generation chilled electronic lockers means long term reliable operation. The i-cool electronic locker bank consists of at least one module and a user station, to which further individual modules, also with different temperature ranges, can be connected. 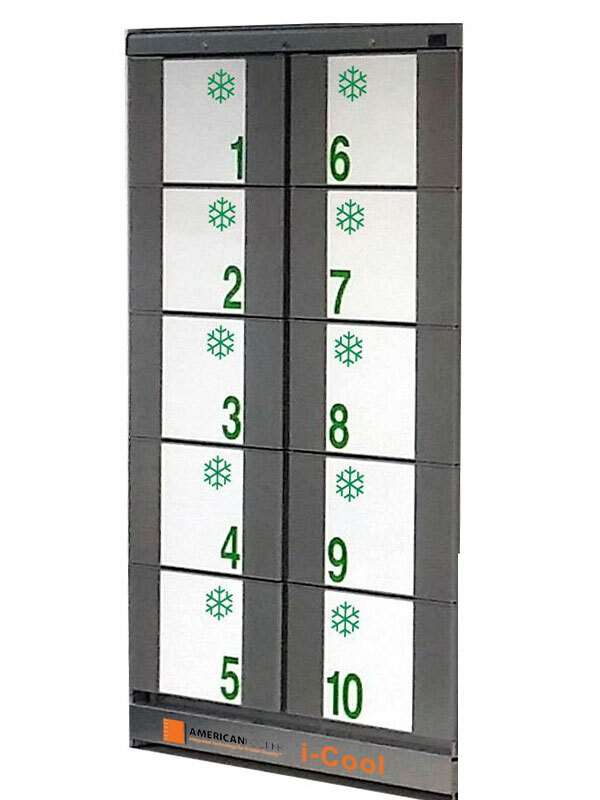 We offer modules with a variety of locker sizes and combinations. There are 6 different standard column types to choose from. 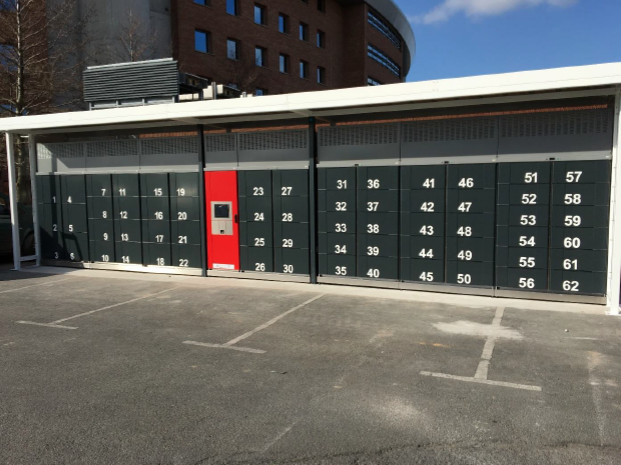 Each module has its own temperature controller, the locker bank can be configured to offer various temperature ranges. A cool locker system is therefore suitable for the handover of chilled or frozen foodstuffs, as well as goods that don‘t need to be chilled. Frost protection Temperature does not drop below 32 degrees F.
Heated Temperature range plus 41 to plus 113 degrees F.
The locker modules are entirely manufactured from high strength, insulated laminated panels. The double-walled doors are made of 3 mm thick aluminum profiles and are equipped with magnetic seals. Each module has an adjustable, stainless steel plinth. The doors have integrated hinges and have an anti- tamper design on the hinge side. Each door opens from the centre of the module. The door locks are electro-mechanical, and are controlled by the electronics. A coloured LED in the central lock cover panel between the doors indicates when and which door is to be opened. The doors of each module have emergency opening, which can only be activated by the Operator/owner. 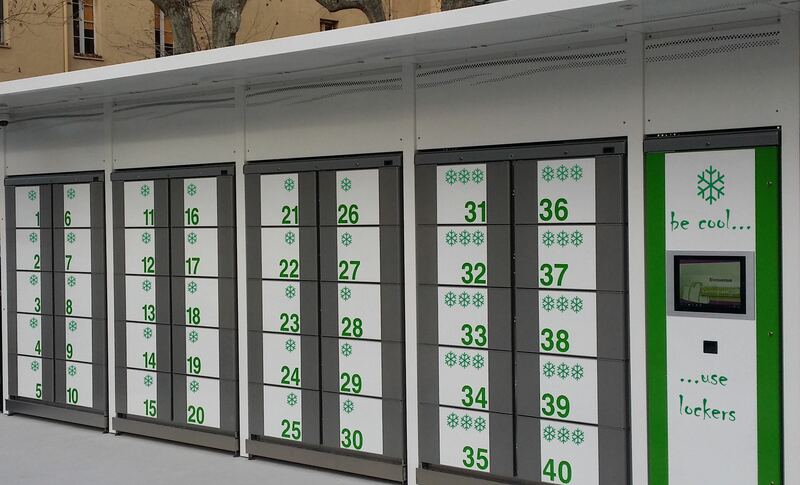 This guarantees that all the doors can be opened if there is a problem, without damaging the locker bank.